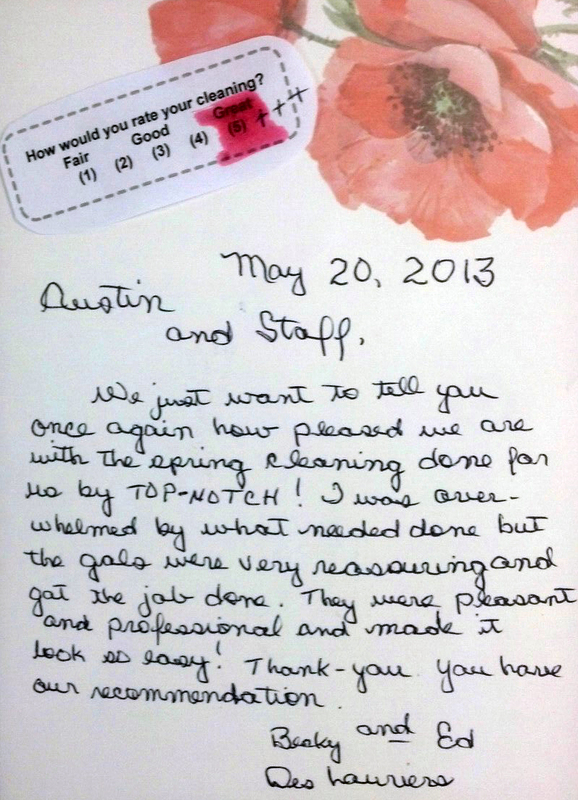 Another Happy Customer | Top-Notch Cleaning, LLC. Thank You Ed & Becky for the GREAT feedback! This entry was posted in Random and tagged client, Customer, feedback, happy, thanks. Bookmark the permalink.